Perhaps I'm feeble, but searching the Fall meeting for "P53B-06" returns nothing for me. I will watch for the presentation, as this is extremely significant. If true, Io will join Europa and Titan in the ranks of the living worlds. Seems to work for me. Just got to the Abstract website at http://agu-fm09.abstractcentral.com/planner.jsp (hopefully that page works for you). Click on Search in the list of links on the left hand side. Put P53B-06 into the Final ID/Program Number field. That should bring it up. 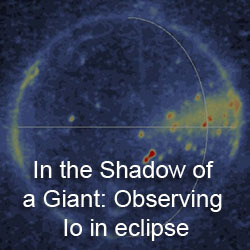 Oh, and in terms of this meaning that Io could be a living world, first off, Titan, you include Titan? Maybe, but I am not confident of that. Enceladus would be a better bet: present day liquid water, higher order hydrocarbons processed in liquid water, and a heat source. Second, what kind of life to you expect to find in MAGMA?!? If that were possible, you would think you would see such a phenomenon on Earth. When we use words like "magma ocean", I think a more accurate way to characterize it would be "silicate mantle with a high melt fraction". That's what makes this result significant, current estimates for the magma temperature, plus tidal heating modeling would seem to be in conflict with high mantle melt fractions. Any idea how 'runny' the magma has to be to fit the conductivity data? Are we talking about a crust that may be considered free-floating, like the ice crusts of Europa and Titan? Or would it be something more like Earth, where the crust can move relative to the interior but only over long timescales and in response to enormous forces? I suppose it could even be mainly free-floating while still anchored in certain places?? Agree with you on life on Enceladus, as Cassini sees organics all along the tiger stripes. I'm less surprised at that than I am that Enceladus has been able to maintain liquid water long enough to let life thrive, as it is such a small body. Life on Titan: obviously using methane as a solvent and acetylene as a power source. Since methane is a non-polar solvent, more subtle molecular effects take hold to allow the complexity we see and that life requires. Life on Io: sounds preposterous, I know, but we see that Io is surrounded by a giant cloud of sodium and that sulfur and complex sulfides are on the surface, including sodium disulfide. Sodium disulfide is a polar molecule that is liquid in the cauldrons of Io, and is a particularly good solvent of silicon dioxide. While complex silicon molecules aren't stable in this environment, silicon-carbon chains are and could for the foundation for the requisite chemistry of life. In general, I believe that in space we're going to find that if a place has complex chemistry, given a few billion years some form of life will arise, just not necessarily one based on carbon and using water as a solvent. ngunn: Until the talk is given in December, I can't put numbers on how much partial melting they expect in the mantle based on the strength of the induced field. Hopefully I can get more details soon and will post then. Due to embargo issues, it is not fair to publish too much more than what is in the abstract, which I know is pretty paltry compared to conferences like LPSC. Anonymous: It might not be too difficult to maintain liquid water inside Enceladus, but keep it all in once place, that's a different issue. In terms of potential life on Io, again, we have many of these same things on Earth, sulfurous compounds interacting with magma inside the Earth, yet again, nothing that exotic has emerged. 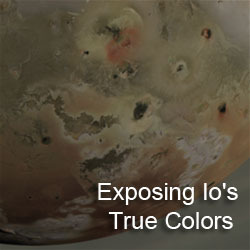 Sodium sulfide is possible on Io, particular in the red plume deposits on Io, but at present it hasn't been identified on Io. Sodium chloride has been to some extent as dust streams from the inner jovian system that have been linked to Io. Carbon is right out. I was under the impression that sodium sulfide and potassium sulfide had been identified along with various complex chlorine compounds, but looking back at the Keck data reveals they were only suspected, not proven. Though, given the presence of sodium and sulfur, and the environment of Io it's probably more than idle conjecture to assume these compounds are in play on Io, and could allow Io to be some sort of Europa- analog with rock instead of water. Surprised at the lack of carbon, though I wish we had more hard data on what Io's surface and subsurface composition. Also, we suffer in that very little research has been done with these compounds at this temperature, especially in the presence of silicon dioxide and Io's radiation environment. Silicone-based compounds could prove stable, but I'm unaware of any research in that area. It would be interesting to see if the characteristics of Io's induced magnetic field could provide any clues of the subsurface composition beyond simply the presence of molten rock. Again, thank you for the time and effort you put into these questions and your blog in general. You obviously have that rare blend of artistic talent and scientific rigor, and we are grateful for your labors. Sodium sulfate maybe, but sodium sulfide is not expected to be a significant volcanic gas, unless melt temperatures are a bit higher than currently expected (though this induced field discovery may change that, melt temperature may be higher than currently estimated (1200-1500 K)) and the Oxygen-to-sulfur ratio in Io's mantle is < 1 (remember, the most important gas is sulfur dioxide) when it is expected to be greater than unity. In fact, if I am reading this chart right, given the current expected Oxygen-to-Sulfur ratio of ~1.5, there should be no sodium sulfide, but there should be sodium sulfate (Na2SO4). Potassium sulfide is expected to be even rarer than Na2S, potassium chloride is expected to be more common. Note to other "Ionians" out there, I am basing that description on "Chemistry of Sodium, Potassium, and Chlorine in Volcanic Gases on Io" by Fegley and Zolotov 2000. Let me know if there is something more recent. All of this has made me consider doing an overview post on the chemistry of volcanic gases on Io. I'll trying to write one up later this week. The same year Fegley and Zolotof also wrote a paper called "Chemistry of Sodium, Potassium, and Chlorine in Volcanic Gases on Io" where they mention the possible existence of sodium sulfide depending upon temperature and O/S ratios. Again, these are only volcanic vent gases; if a subsurface environment could somehow reduce oxygen levels, you might find a different subterranean environment. That's the same paper. They discuss how different volcanic gases would form at different O/S ratios and temperatures. The problem is that the entrained gases in Ionian magmas contain more oxygen than sulfur, which supports the formation of Na2SO4 over Na2S. At O/S=1.5, VERY little Na2S is formed. At O/S=1, you would require higher magma temperatures than currently expected to form Na2S, but again, given this new result, those temperatures might be possible, but that O/S ratio? I doubt it. I guess it depends on where exactly the magma is picking up its volatiles. 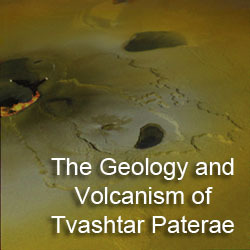 Are they entrained in the asthenospheric magma chambers (in the possible magma ocean) or are they picked up along the way during ascent or in the shallow magma chambers in the mid-to-upper lithosphere (which is thought to consist of layers of sulfur/sulfur dioxide ice and cooled silicate lavas). In the latter scenario, it might be possible that the asthenosphere (and thus the "magma ocean") is more reduced than the lithosphere. Again, that is something I will have to check on for that article I want to write.